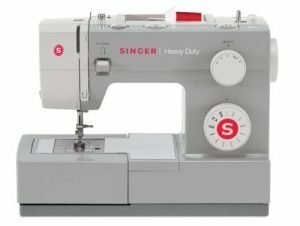 Review of singer 4411 Heavy Duty Sewing Machine - More Layers? 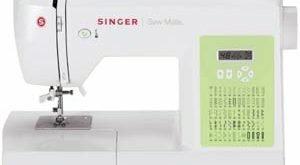 Singer is a respected brand name when it comes to sewing machines. 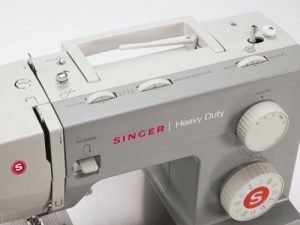 This Singer 4411 heavy duty machine looks just like every other Singer heavy machines, spotting a grey color with white and red branding. Singer 4411 is truly a heavy duty with its metal construction, but a heavy duty machine that gets the work done. This review is made comprehensive to provide you the needed information about the singer 4411. The threading guide of the Singer 4411 makes using the machine as straightforward and uncomplicated as possible. With a power motor and durable frame, Singer 4411 will sew anything and everything you feed it. 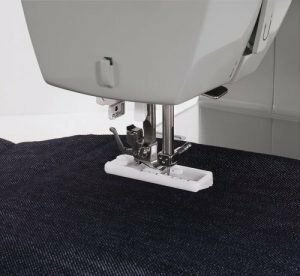 A single use of the machine will reveal how user-friendly this sewing machine is. You wouldn’t need to spend extra hours learning how to handle and use the machine. At a very low price for a heavy duty machine, Singer 4411 is very good at what it is built to do. It treats both heavy and delicate materials with leniency and the strength it needs. On top of that, it delivers a high quality and excellent stitch patterns. 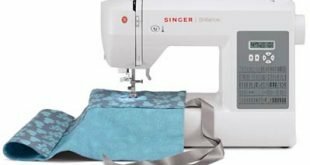 Singer 4411 is almost faster than most sewing machines built for home use. If you desire balance and stability, the sturdy design of the machine guarantees it. Let’s start with the drop in bobbin which a child in elementary classes will find easy and fun. I can only say fast and easy while selecting from the 11 stitches due to the convenient dials of the machine. Not only that, changing needle position and the stitch length and width are also enhanced by the dials of the machine. The heavy metal bed of Singer 4411 is ready to accommodate any material you throw at it. Whether you are sewing leather, jeans or heavy fabric, the machine is capable, stable and durable. The machine is also built to respect delicate materials such as silk; this is via the adjustable presser foot that comfortably accommodates the materials. Singer 4411 reminds us of the early singer sewing machines used by our grandparents; it consistently churns out quality stitches in a unique way. If I classify this machine as industrial grade, I won’t be exaggerating. You can adopt it for commercial purposes. Considering the weight, stitch quality and speed, it indeed belongs to a dressmaker or tailor’s workshop. Who should buy SINGER 4411 sewing machine? Singer 4411 heavy duty machine moves at an incredible speed not advisable for youngsters and learners. 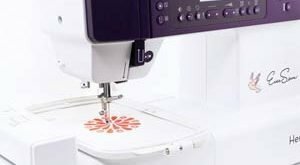 If you are still jittery and uncomfortable on a sewing machine, Singer 4411 is not recommended for you. This should be used by intermediate or experts and professionals who can adapt to the speed and swiftness of the machine. 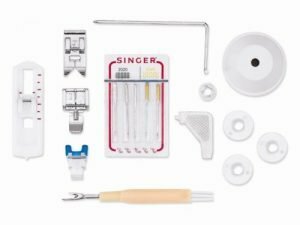 As expert users, if you are going to be sewing natural fibers, cotton-linen-wool, knits, upholstery, fur, leather, and suede, Singer 4411 is perfect equipment you’ll need. 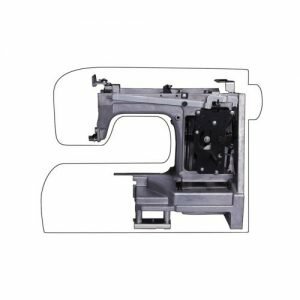 If you are on a budget and regularly find yourself sewing plastic, rubber, canvas, twill, and extra hard fabrics or multi-layer fabrics, this is the heavy duty machine you need.